At Synergistic Research we focus on a total system approach to create synergy in your system. All aspects of performance are taken into account and because there's more to synergy than just cables, we've developed some of the world's most innovative solutions like our PowerCell line conditioners and Acoustic ART room treatments and MiG resonance control footers. 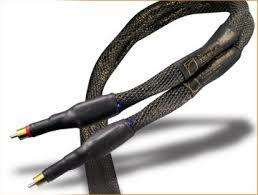 Of course audio cable and power cords are one of the biggest contributors to system performance second only to room acoustics so we pioneered several ground breaking technologies like Active Shielding with air dielectrics and custom tunable cables with Enigma Tuning Circuits to get you closer to the music than ever before.